Welcome to the Savant Books and Publications Merchandise Order Page. From here you can order any number of Savant Books and Publications merchandise -- all at our Savant Bookstore discount outlet price! We accept major US credit cards via PayPal (as well as eChecks and direct PayPal account purchases). Alternatively, if you are within the USA, you can call or FAX us at 808-941-3927 any weekday from 9 a.m. to noon Hawaii Standard Time. If you call us, we can accept your order and major US credit card number over the phone. If you FAX us, please state the titles and numbers of books you want -- include your email address and phone number and we will call you to confirm your purchase request and credit card payment details. Finally, you can write to us at Savant Bookstore Honolulu, 2630 Kapiolani Blvd #1601, Honolulu, HI 96826 USA (FAX 808-941-3927) with a list of the books you want by title. Be sure to include your full "ship to" address, email address, phone number, and check, money order, cashier's check, credit card information or purchase order. 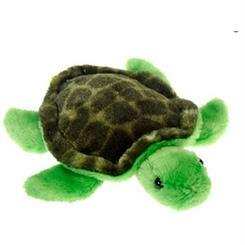 Fiesta's Lil Buddies 6.5" "Timmy" Plush Hawaiian Green SeaTurtle. Just the right size to cuddle, to carry, and to read to. Appropriate for 3-year-olds and up. *Isla and Surf are Hawaiian Green Sea Turtle characters in Daniel S. Janik's THE TURTLE DANCES (Savant 2013). Price includes FREE shipping and handling anywhere within the USA including Hawaii and Alaska. Allow 3 weeks. No refunds except for transit damaged goods within 3 days of receipt. B&W 2.5" circular button featuring Hawaiian Green Sea Turtle with "safety" pin back. Fun to wear. B&W 2.5" circular button featuring Hawaiian Green Sea Turtle with "safety" pin back. Collectable. Signed by author. Want to receive email notifications on what's happening at Savant Bookstore Honolulu including seasonal sales and events? It's FREE! Click here! (your email address is safe with us -- we do not share or sell our notifications list to others).